OH NETFLIX, WHY DO YOU VEX ME SO? 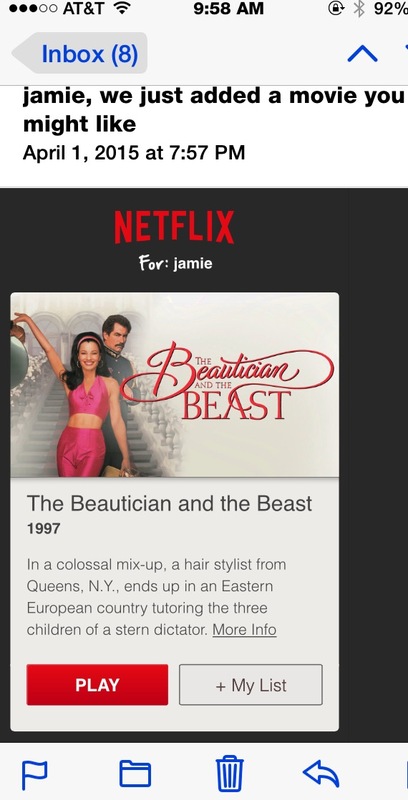 by Jamie Greening.In Culture, Movies.Leave a Comment on OH NETFLIX, WHY DO YOU VEX ME SO? You know you share a Netflix account with your wife when you get this horrifying email. Nothing more needs to be said.